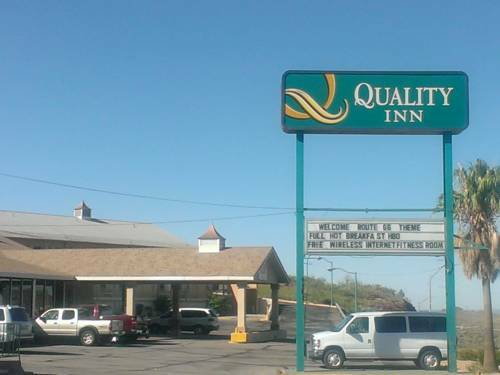 Get more for your money at the Quality Inn hotel in Kingman, AZ located along historic Route 66 near the Kingman Airport. This pet-friendly hotel is near destinations like Mohave Museum of History and Arts, Andy Devine Days PRCA Rodeo, Kingman Army Airfield Museum, Metcalf Park and Route 66 Museum. Enjoy amenities like free breakfast, free airport transportation, fitness center and free coffee. Also, earn rewards including free nights and gift cards with our Choice Privileges Rewards program.